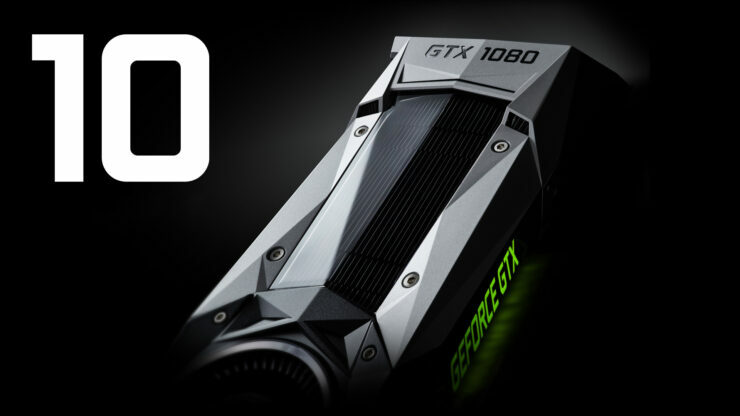 If you are looking for an NVIDIA graphics card belonging to the GTX 1000 series that is not stamped with an inflated price tag, the company’s online store is going to be the place to do it. That is correct; if you want to purchase an NVIDIA GPU that features the same MSRP that came with it during its official launch, then some models are stocked on the company’s website right now. There is going to be just one little problem; the Founders Edition lineup is currently available at the company’s online store and that is not a bad thing but we just checked and some models belonging to the series have just gone out of stock. This only means that it is not going to take long for the other models to go out of stock so you’d best hurry if you want to experience gaming fidelity at its finest. If you are not familiar with the term, Founders Edition cards are GPUs that do not feature any modifications from NVIDIA’S AIB partners such as EVGA, ASUS, GIGABYTE, MSI, and others. Currently, the graphics cards below are available and in stock. Also, Founders Edition cards tend to get louder under GPU load since they are outfitted with vapor chamber coolers and not factory calibrated aftermarket solutions. Still, if you are not a serious overclocker and do not mind a small amount of noise, then these GPUs will hardly be a deal breaker for you anyway. Just make sure that you do not waste any previous time in purchasing any one of these. Keep in mind that the products listed below are the ones that are currently in stock. The rest of them have sold out. Buy NVIDIA GTX 1000 series GPUs from its online store.